I also want to recognized the Rams offensive line for doing a great job of protecting their QB!!! You must be a parent of one of the offensive linemen. Don't sweat it that quarterbacks and running backs and wide receivers get most if not all of the attention for the success of a team because whenever a quarterback, running back or wide receiver gets attention they are representing the entire offense not just themselves. Usually it is only the parents of offensive linemen and also defensive linemen that feel they do not get any recognition but the fact of the matter is they do through the successes of the quarterbacks, running backs and wide receivers. This game is over Montwood won and coronado loss. The whole team pays for his mistakes. Not a leader! 💯 agree! It’s incredible and heartbreaking to see this over and over. 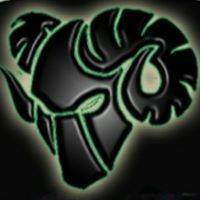 This is not to take away anything from the Rams, they have amazing talent. But this happens all the time with Coronado. Hoping Coronado coaches can open up & take some advice. 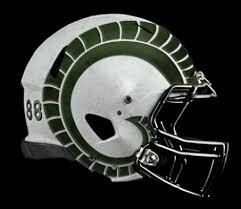 Wishful thinking Spartandad, Troopers have found their way and will win at Home. Is Anderson resigning? If he makes the playoffs this year, they are all staying. The seniors want to win now. When you have a Jlu you should win. How can he not be open. Most teams play to stop the run. Montwood put 8 in the box and what happened ? 100 yard pass for a TD to Julian Madrid. When you have good running backs , you should be able to throw the ball. JLu cant be rhe only thing. He is a soecial teams wonder, but he isnt even on the charts at WR. Alex Norz has that clicked up. We need to spread the ball around. Garrett Slaughter #9 actually caught that 98 harder. You are absolutely correct. I was at the game. Longest pass play i have ever seen. He is an every down back. Why are the coaches wasting that young man. Players like Jose Luis and Garrett Slaughter should always be on the field. When The Tbirds came within four points in the 4th quarter , we all could not figure out why he was on rhe sideline. I guess that is another mystery. El Paso times has him at over 5 yards per carry. It's Villarreal. That is who you talking about!! I'm talking about all of the defensive coaches, but especially Robles because he's in charge of the LBs.